Grace Bible Fellowship is committed to the principle of Sola Scriptura, Scripture Alone, as the sole source of authority and wisdom for the local church. "They read from the Book of the Law of God, making it clear and giving the meaning so that the people could understand what was being read." Grace Bible Fellowship is an independent New Testament Fellowship founded on the Scriptures and committed to the expository preaching and teaching of God's truth. We study the Bible book by book, chapter by chapter, verse by verse. We are keenly aware of the contributions of the saints who have gone before us and thus emphasize and teach church history. We are unashamedly Reformed in our view of God's truth and appreciate the strength given to the church in the Confessions of the early church, the Reformers, and the more recent teaching of Charles Spurgeon, Dr. Lloyd Jones, Dr. John MacArthur, Dr. R.C. Sproul, etc. We hold to the "Five Solas:"
Grace Bible Fellowship (GBF) takes seriously the admonitions to the local body in I and II Timothy and Titus and is organized accordingly with a committed body of Elders. This body of elders seeks to lead the flock by example and guard it against the modern wolves of false teaching and heresy which so predominate the religious environment in America today. We regularly observe the Lord's Table and ask all new believers to submit to the ordinance of Baptism in obedience to the Scriptures. GBF asks all members and attending friends to adhere to a simple covenant of commitment which exalts Christ, edifies the Saints, and promotes the unity of the local body. GBF engages in regular worship which is God honoring, God centered, Scripturally based, and which presents the truths of the Gospel so that Saints are strengthened and sinners are evangelized. 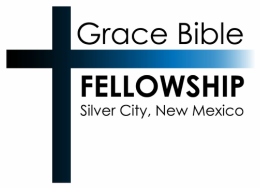 GBF conducts weekly Bible studies and will provide one-on-one discipling upon request. GBF seeks to glorify God and exalt Christ in all our endeavors and believes that the local church exists for this purpose above all else.